Witt remains at large in Iran, as do the four hackers, who prosecutors say were acting on behalf of the government-linked Iranian Revolutionary Guard, prosecutors said. That group has been designated by the US government as promoting terrorism. Witt first traveled to a “Hollywoodism” conference in 2012, when she appeared in Iranian television videos in which she identified herself as a former US service member with. 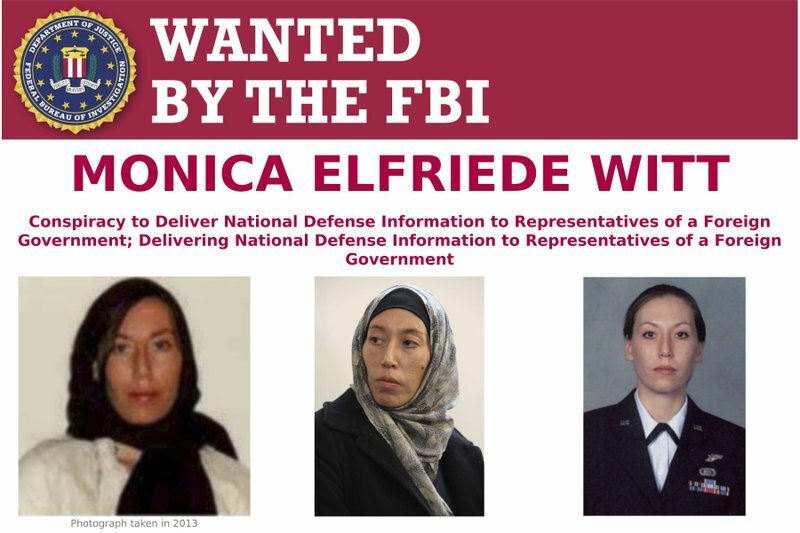 She was warned that May by FBI agents that she was a potential target for recruitment by Iranian intelligence. Using a typed smiley-face, she later told the same, unnamed person, “If all else fails, I just may go public with a program and do like Snowden.” That’s a reference to Edward Snowden, a former NSA contractor who leaked classified US information. The Justice Department officials would not say whether Witt’s prosecution was connected to an American-born Iranian television anchorwoman who was recently released after being detained by the FBI as a material witness in an undisclosed US case.